For 2.671 - Measurement & Instrumentation, the final project is to Go Forth and Measure and students are encouraged to find something that needs to be measured, design and perform an experiment, and then report their findings. As an involved member of the MIT Pistol Team, I designed an experiment that provided insight into one of the fundamental elements of pistol marksmanship: the stance. My experiment measured the effect of stance on the stability of a shooter's aim on the target. The experiment was performed in the context of 10m air pistol on a single collegiate-level shooter. A series of shots were fired from each stance position and the stability of the aim was measured using an optoelectronic system. The data was then analyzed to compare both precision and accuracy. The results indicated that a 45 degree stance angle resulted in the most stable pistol aim. The full report can be found here. The complete experimental setup on a 10m air pistol range. 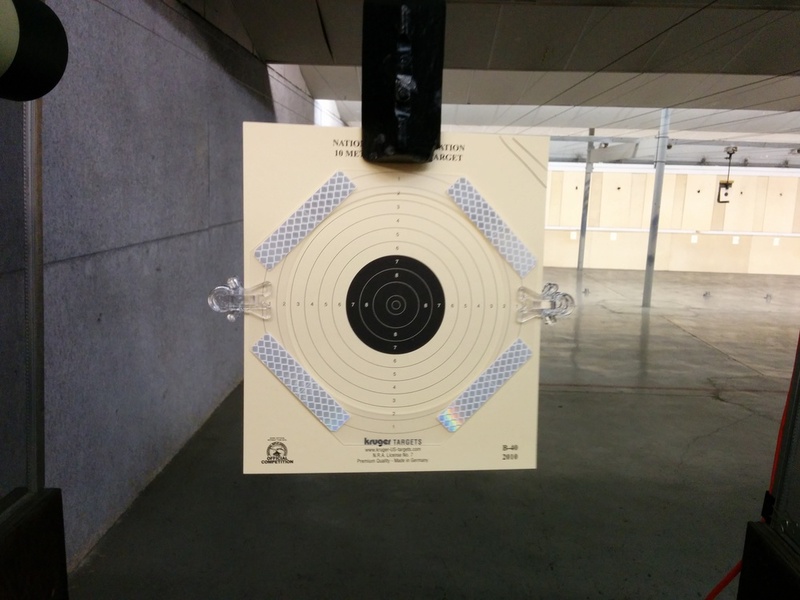 The testing setup included a 10m air pistol target with reflective tape. The air pistol was attached with an optoelectronic unit that was connected to a laptop to record position data. In Olympic-style shooting, the pistol is operated from a standing, unsupported position. I am shown executing a standard shot process.